Tracking number starts with "R","C","E","L" can be tracked, for example: RM724406296IN. In order to track India Post and Speed Post, you can follow this instructions to use our India Post tracking tool. 1. You need a Consignment number or the reference number. 2. Click the track button. 3. Delivery status and other details will be displayed below the search box. Both domestic and international articles can be tracked. 4. You can also get tracking results through India Post SMS tracking. For Speed Post, send SMS - POST TRACK <13 digit article number> to 166 or to 51969 to know the status of Speed Post article. e.g. POST TRACK EE123456789IN . India Post had 25,464 departmental Post Offices and 129,402 Extra-Departmental Branch Post Offices. Services include Letter post, parcel service, EMS, delivery, freight forwarding, third-party logistics.This is the biggest postal system in this country, which is operated by the government. Furthermore, this postal system is regarded as the most prevalent one in the world. 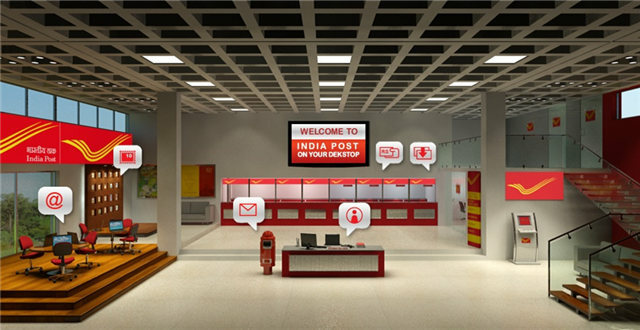 Speed Post is the leading express service of India Post, it provides time-bound and express delivery of letters and parcels weighing uo to 35 kg. Backed by UPU, EMS Speed Post offers high quality service to every corner of India and 99 foreign countries. 8:00 a.m. to 8:00 p.m, (excluding declared holidays & sundays). What type of India Post items can be tracked? EMS international: International delivery to 99 countries under EMS network. Value Payable Parcel: Similar to Cash on delivery. Value of item is paid during receipt. Business Parcel COD: Contract based parcel delivery service for business clients with COD option. Express Parcel COD: Air express delivery for retail and business clients with COD option. Electronic Money Order (e-MO): Money transfer between two persons within the country. 1.What does the different order status of India Post mean ? Item booked: Your article have been booked successfully at IndiaPost site. Item Recieved:Your article have been revieved at Post Office. Item Bagged: Your article has been bagged in a dispatch bag for shippment. Item dispatched:Your article has been dispatched for delivery. Out for Delivery:Your Article is sent out for delivery. Item Delivered: The article has been delivered to the receipient. This is a list of India Post Office holidays in the year of 2017, all the post offices in India will be closed on these holidays and sundays. Check India speed post rates here.The rates is based on weight and distance. India Speed Post provide a SMS service for customer to track their articles.For Example, if you need to track EE123456789IN, you need send SMS in below format to 166 or to 51969.